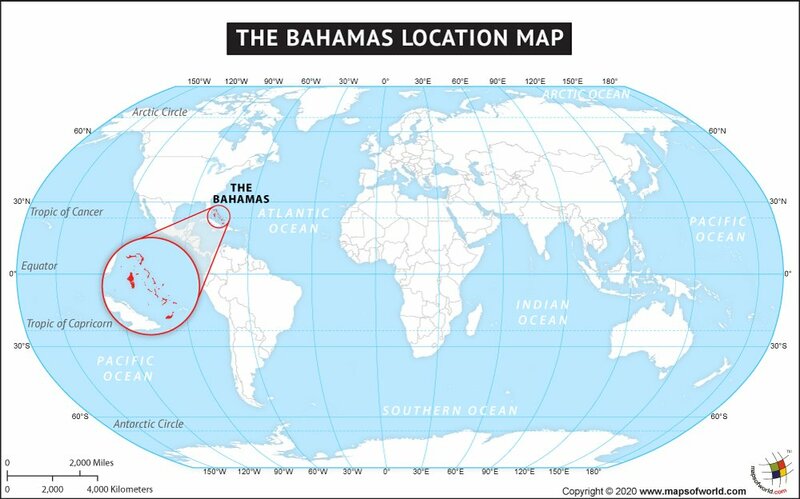 World Map / Bahamas Map / Where is Bahamas located? The Bahamas are an island nation located in the Caribbean Sea between the southern tip of Florida and Cuba. The Bahamas are a group of islands located in the Caribbean Sea in southeastern North America. The Bahamas are in a chain of islands that includes Cuba, Turks and Caicos, and Hispaniola, which contains the Dominican Republic and Haiti. The Bahamas are located not far from the US state of Florida. The Bahamas have an aggregate area of 13,878 square kilometers (5,358 square miles). There are 29 islands, 2,387 islets, and 661 cays in the Bahamas. Its major islands include Grand Bahama, Eleuthera, Cat Island, San Salvador, and Andros Island. 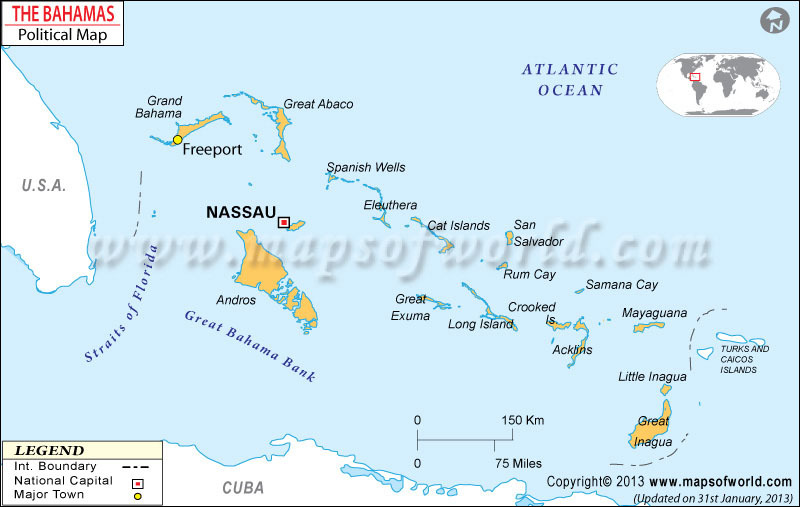 The capital of the Bahamas is Nassau, which is located on New Providence island. The population of the Bahamas is about 350,000. The country of Bahamas is in the North America continent and the latitude and longitude for the country are 24.3196° N, 76.2765° W.